Display screen equipment (DSE) and Video Display Units (VDU) are now widely used in all workplaces and have been proved to be contributing factor to back injury, eye strain and repetitive strain injury. Effective workplace ergonomic management actually contributes to business success. DSE/VDU Ergonomic Risk Assessments from CMSE Consultancy will now assess all of your workstations and work environment for potential hazard and identify controls to reduce your level of risk. CMSE Consultancy is a leading provider of Ergonomic services including risk assessments, Video Display Unit (VDU); Display Screen Equipment (DSE): work station reviews, task assessments (work rotation schedules) and repetitive strain injuries (RSIs) assessments. CMSE Consultancy delivers cost effective, practical services to our clients nationwide. Both client’s in small and large numbers can be provided with DSE/VDU assessments. We managed Programme solutions for bigger multisite organisations. CMSE Consultancy can make use of our software system offering to provide initial assessment and training through to the management of corrective actions and follow up assessments. We have qualified ergonomic consultants who will visit your office and provide an extensive, personal VDU/DSE service. 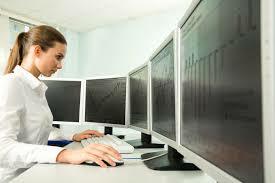 The hazards in the work location are to be to taken into account, therefore each workstation is individually assessed. To bring your business in line with current legislation and VDU/DSE regulations, a full report is written recommending the necessary changes. We won’t just improve your work space but we will also impart practical advice to ensure your remain compliant in the future. That way you can benefit from our expertise and experience tailored to your individual circumstances and put to test in your work environment. As well as general duties under the Safety, Health and Welfare at Work Act 2005, the Safety, Health and Welfare at Work (General Application) Regulations, 2007, Chapter 5 of Part 2: Display Screen Equipment outlines the minimum safety and health requirements for work with display screen equipment and place specific duties on employers and employees. Employers now must pay particular attention to eyesight, physical difficulties and mental stress. They must put in the precautions to control any risks identified. On all computer workstations where an employee will spend longer than 1 hour per day, a VDU or DSE Assessments must be undertaken by law.